2nd and 4th Tuesdays at 6:00 p.m.
Join Peoria Public Radio on the 2nd and 4th Tuesdays of the Month for our live broadcasts of the Peoria City Council meetings. The meetings begin at 6:00 p.m. and are aired in their entirety. Peoria City Hall was constructed in 1897 and is listed on the National Register of Historic Places. Council meetings are held in room 400 on the second and fourth Tuesday of each month. 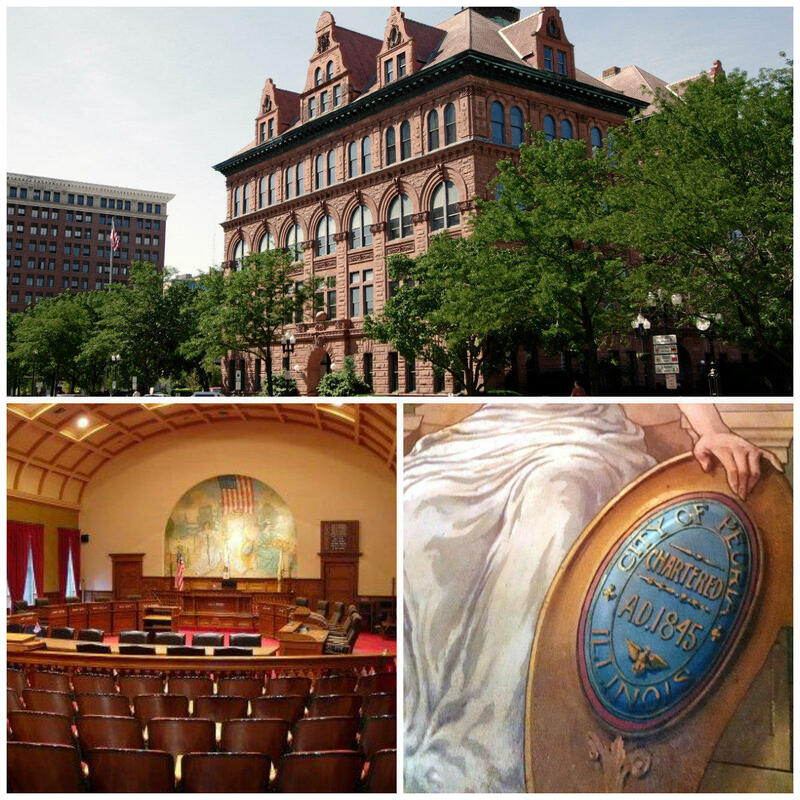 For detailed council meeting information, visit the city of Peoria's website.